Barbadian boats Paulo’s Churrasco do Brasil Sumtin’s Happ’nin’ and Xpelair Fadeaway finished first and second among a fleet of eight boats from three countries in the 2011 Southern Caribbean Sailing Championships held over the Easter weekend. 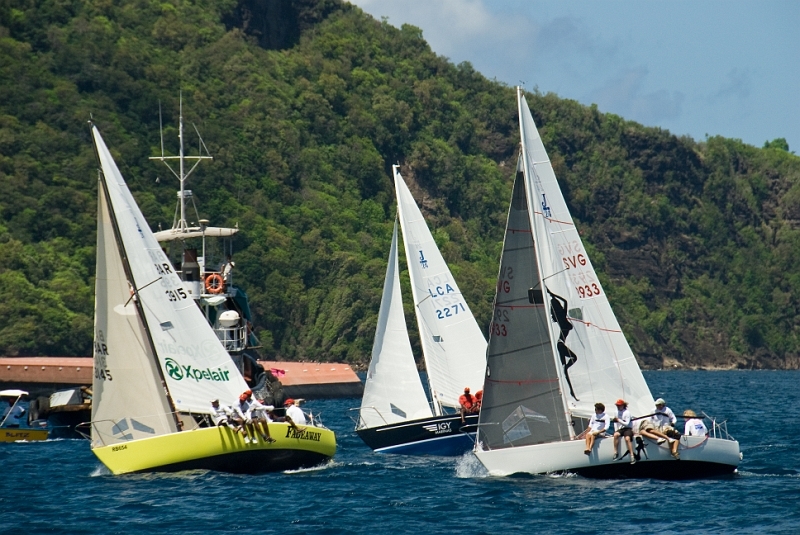 The six-race series championships were held as part of the Bequia Regatta which this year celebrated the 30th anniversary of what has become the biggest sailing event in the Caribbean. 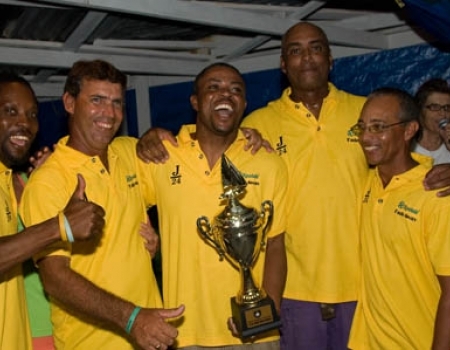 Skippered by Paul Johnson and crewed by Dana Seymour, Darien Chow, Madeline Seymour, Sasha Soodeen, Rafael Grizoni and Andrew Martin , Paulo’s Churrasco do Brasil Sumtin’s Happ’nin has now become the 2011 J/24 Southern Caribbean Champions. The Bajans’ achievement was the first in the event, and only after one year of competing in the J/24 Class. Coming from behind after the penultimate race, Johnson and his team performed some outstanding tactical sailing to finish two boats ahead of it’s main competition winning the overall regatta and championship title. Xpelair Fadeaway enjoyed one of it’s best Regatta’s ever, moving from third place on day one to a first place tie with Grenadian boat Island Water World Die-Hard at the end of Day 2, when they also won the United Insurance Three-Race Series. After a rough first half in the last race, skipper Charlie Gloumeau, with help from crew Peter Thompson, Chris Phillips, Rodrick Mascoll and Russell Corrie fought back but could only hold on to second place in the championships. The staging of the championships and the participation of boats from Barbados, Grenada, St Lucia and St Vincent was made possible through the efforts of the Bequia Sailing Club which organized the regatta, and with help from The Barbados Port Authority, The Bequia Port, The Barbados J/24 Club and the Barbados Sailing Association which made it possible for the boats to be shipped without the usual port charges. The next big clash of J/24 yachts is the upcoming Mount Gay Regatta and the boats are now being shipped back from Bequia to compete. This, the biggest regatta held in Barbados, will be sailed from May 13 to 15.